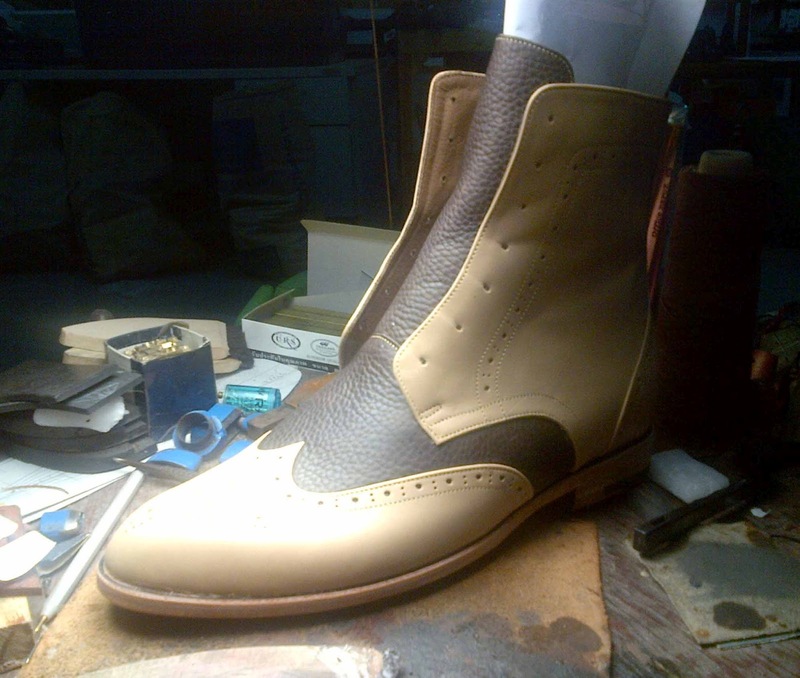 Here is a few pictures of bespoke shoes that we made over the last week. 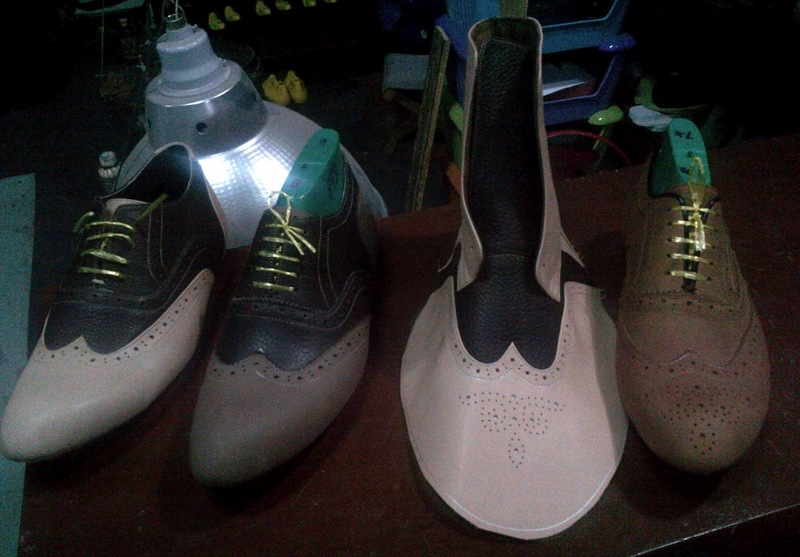 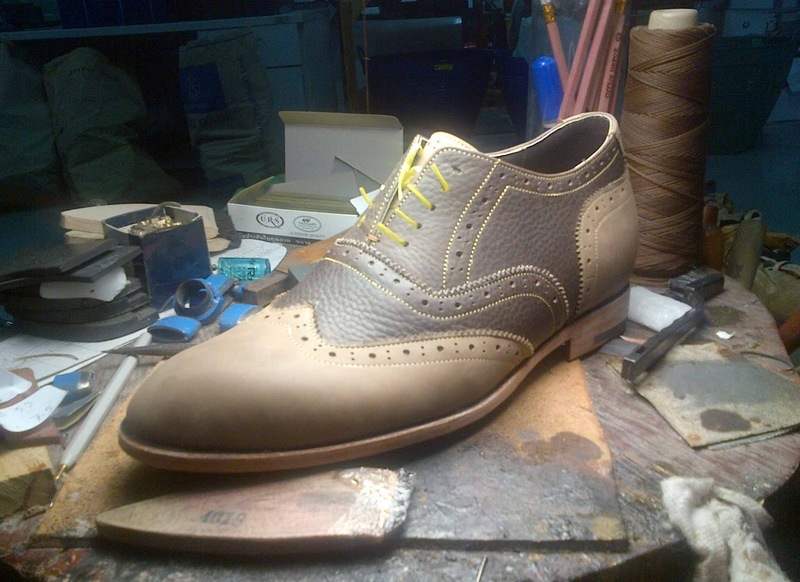 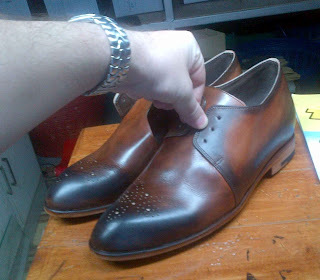 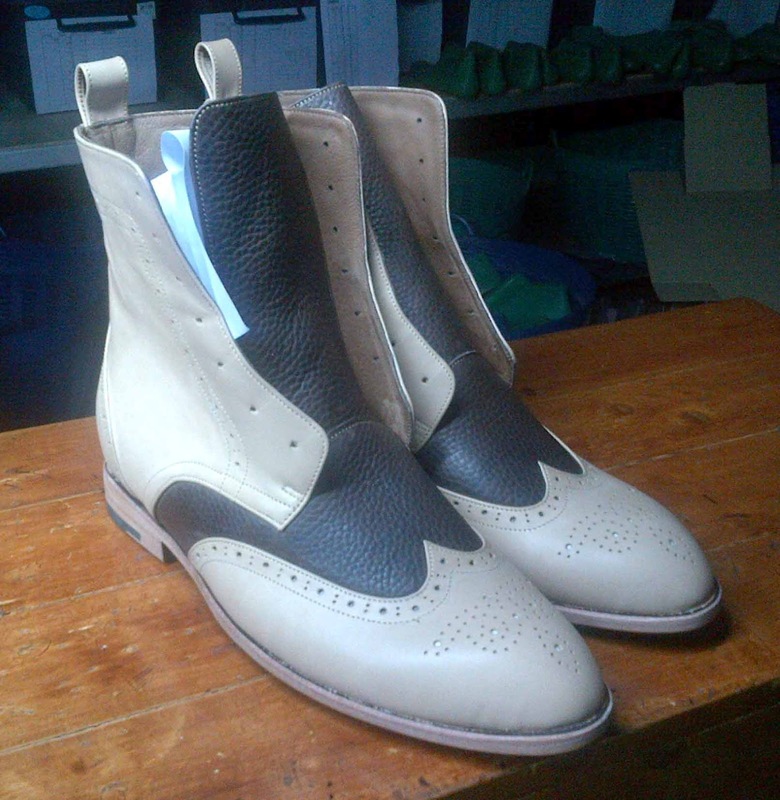 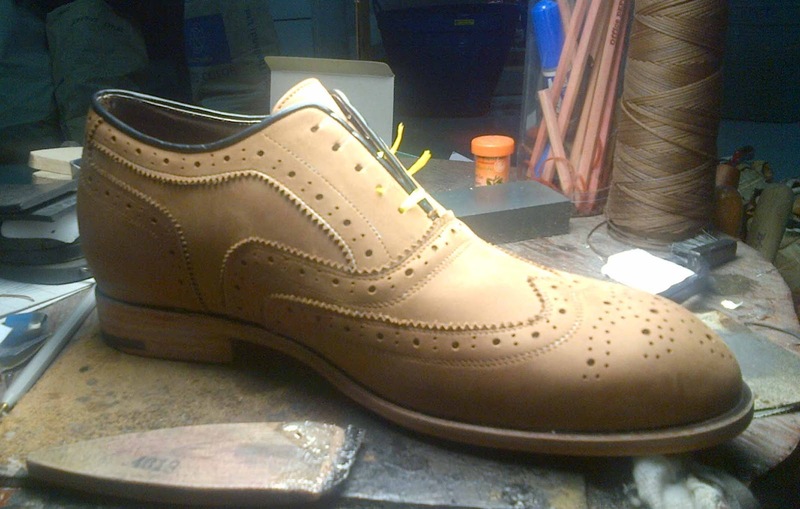 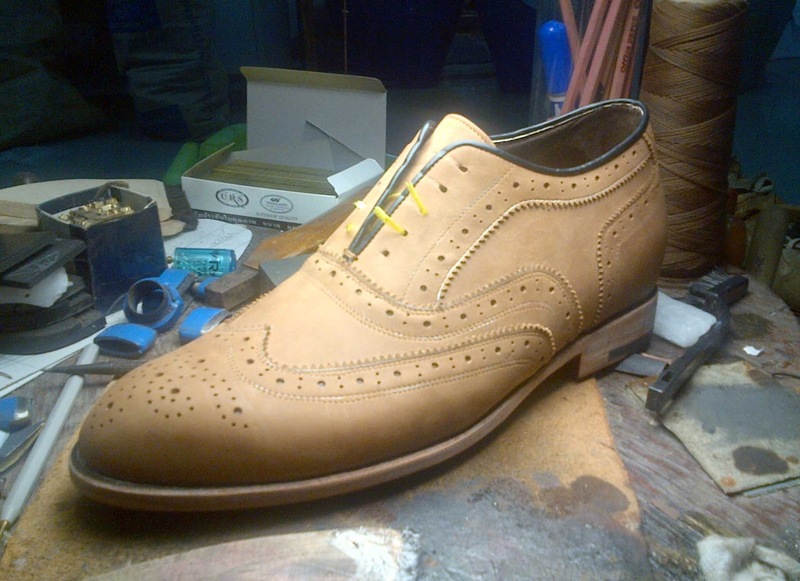 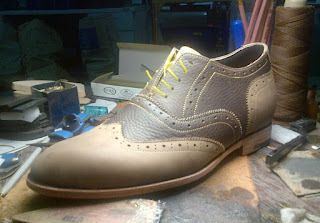 We don't often make bespoke shoes ( its quite stressful and takes time) . 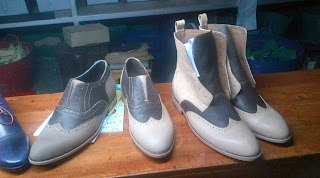 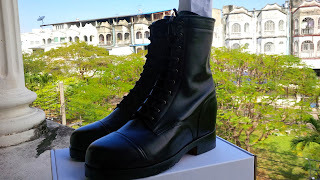 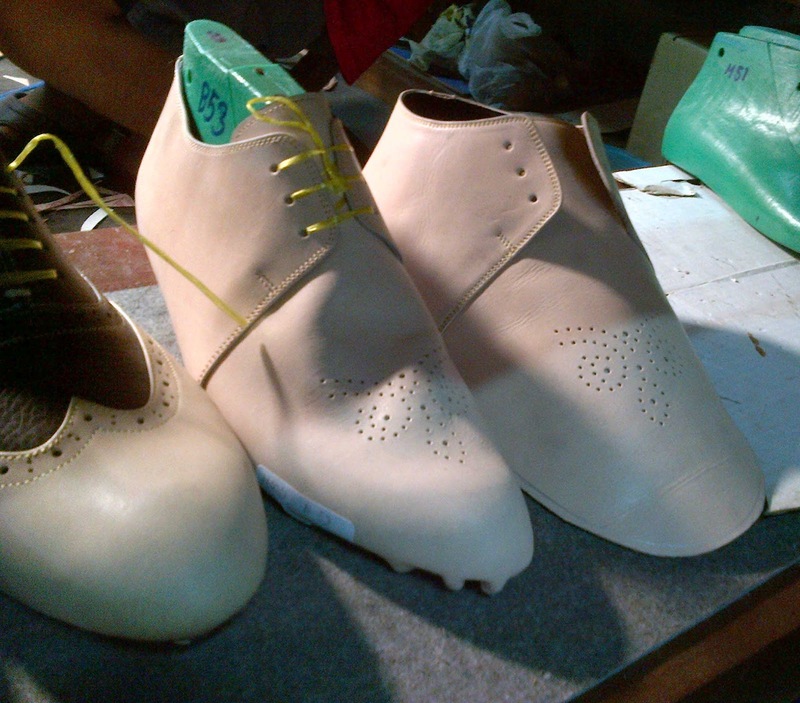 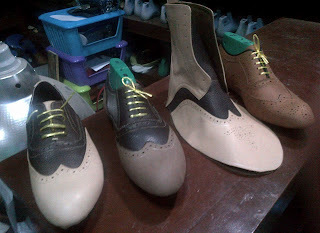 Our custom shoes that we are asked to make often then go on the retail site as new styles as we are so busy these days. 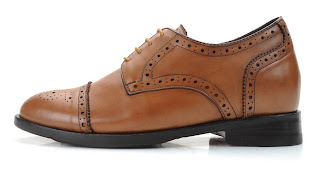 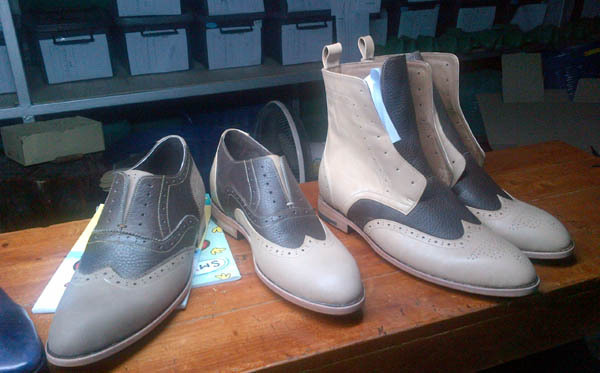 We are real shoemakers so we don't want to abuse the words bespoke. 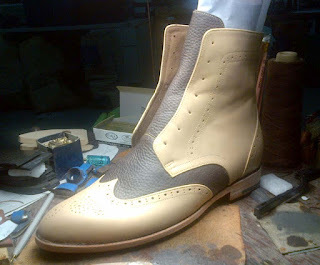 I often say we are only custom shoemakers other than bespoke. 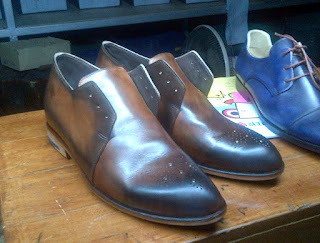 For real shoemakers its a cherished word and a dying art form.